We are into the second week of 2017 and I haven't been able to shoot any style looks so far because well a) it's been freezing and snowing out and b) I've had schedule conflicts with Emme and all. But not to fret, I have a plan in the works and I can't wait to share new fashion posts. And since I miss the fashion aspect of the blog I decided to share a few of my favorite outfits from 2016. Looking back I realize I went super simple and basic in 2016, with lots of neutrals and solids but without compromising style. Here are some of my favorite looks. Hope you enjoy looking back as much as I did. 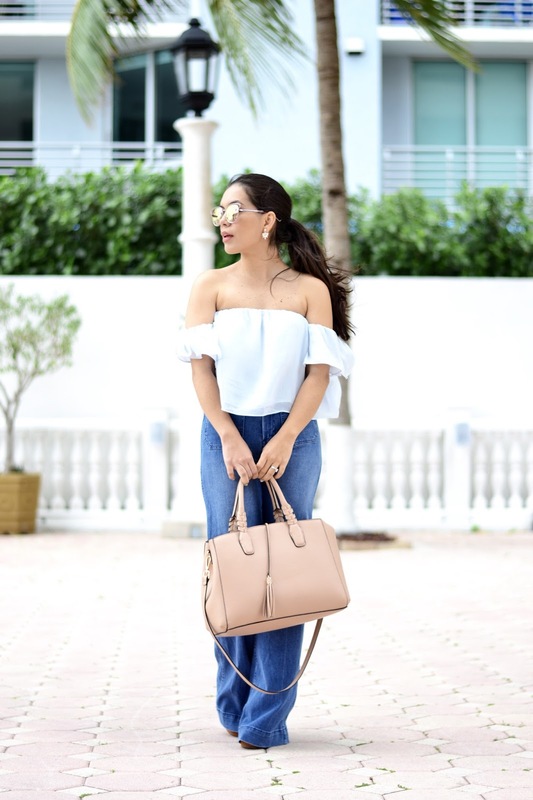 One of my favorite trends of summer were definitely the off-the-shoulder tops and somehow a lot of black make its way into my close as well but I'm not mad at it, I love a cool chic laid back look and for casual aspects black pieces do just that for me. Going into fall I loved wearing dresses with knee high boots and of course my favorite trend right now, the big sleeves for fall, I am obsessed with flares and details on my tops lately and can't wait to snag a few on all the winter sales.